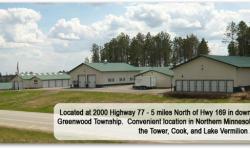 Red Rock Storage in Tower, Minnesota have the perfect Storage solution for your needs at great rates and a convenient location with 24 hour access and security with cameras. Enjoy the privacy of your own lock and key, and month to month rentals are available with no lease or minimum stay required, and units are high, clean, dry and always snow plowed, they also have indoor Storage for boats, RV's and larger items. Red Rock Storage also offer unique mobile Storage with containers on wheels, and they will bring the Storage container to you, and when you are finished packing it up, will collect the trailer and store it for as long as you wish, and when you need it will deliver it back to you, or you can simply keep the container on-site for as long as you need. 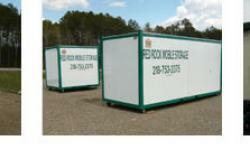 With various sizes available as well as large spaces, they can comfortably accommodate all your Storage needs.